A man has been charged with aggravated DUI after a fatal crash in Schaumburg Wednesday night, police said. Police said the three-vehicle crash occurred in the 500-block of Schaumburg Road at about 8:53 p.m. Police said a Mercedes was traveling west on Schaumburg Road when it rear-ended a Mazda minivan and also hit an Acura. The Mercedes left the roadway and came to a stop in a grassy area on the north side of the street. 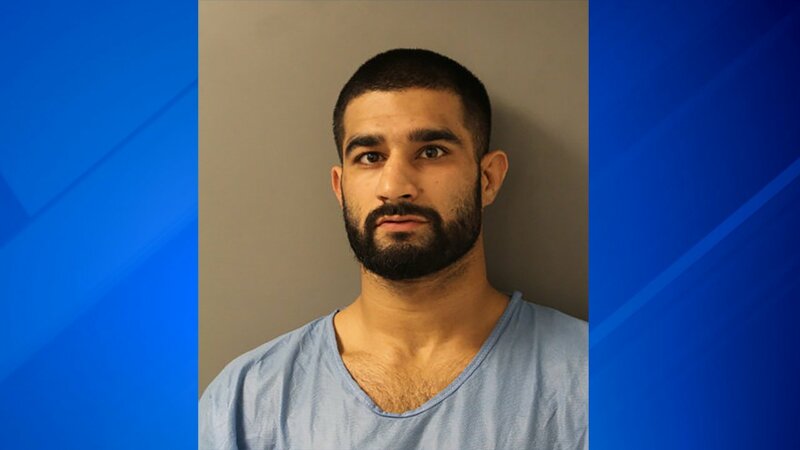 Police said the driver of the Mercedes, 25-year-old Feroz Khan of Streamwood, was taken into custody by police near the scene of the crash. The Mazda left the roadway after being rear-ended and struck a tree. The Mazda driver, 41-year-old Amando Chavez of Schaumburg, was transported to a hospital, where he later died. The driver of the Acura suffered minor injuries and was transported to a hospital and later released. Khan was charged with aggravated DUI drugs/causing death and driving under the influence of drugs, police said.